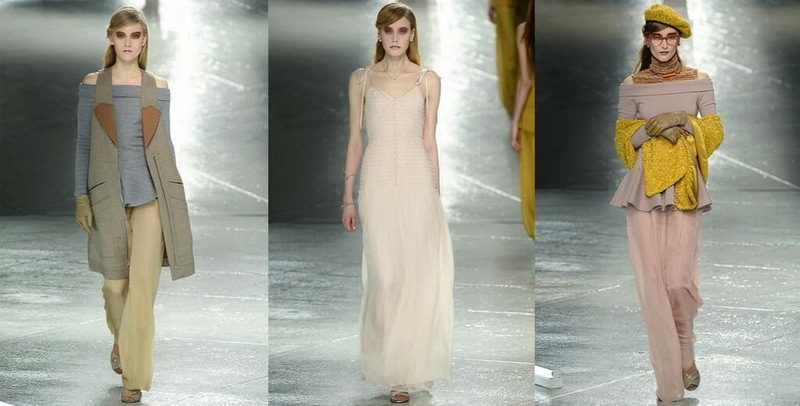 You can definitely see some Leia and Padmé inspiration in these looks. 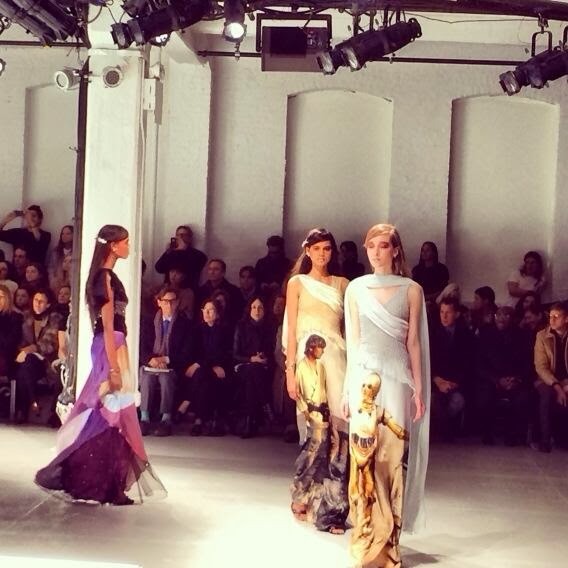 Full on Star Wars designs - they look like dresses you'd find on Naboo or maybe Coruscant. I'm drooling over the Luke on Tatooine one. 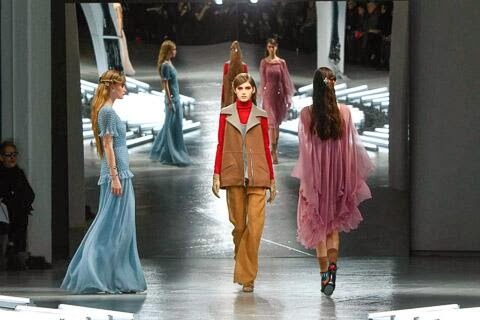 The ensemble on the left screams a Bespin Leia and Revenge of the Sith Padmé to me. 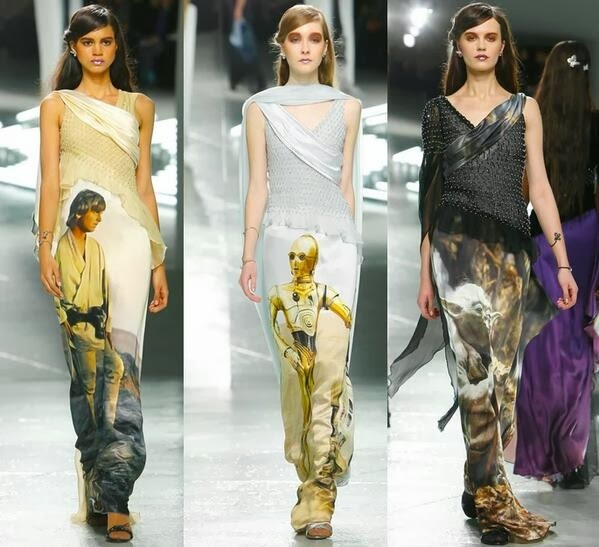 And this isn't the first time Rodarte has been inspired by the saga. 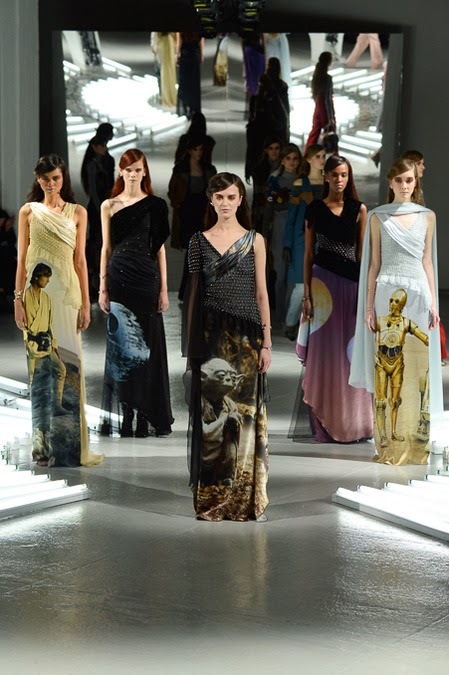 NY Mag pointed out some similarities between their Spring 2009 collection and Episode III. Ladies and gents, I may have just become more interested in fashion. See close-up pics at Style. all the design are looking gorgeous really.